Click on this link to read an article from the Peace and Change blog about why I wrote a book for children rather than another book for adults. The following link will take you to the Gotham Writers Workshop site where I have a letter about how my courses there helped in writing Martha and the Slave Catchers. These efforts resulted, in 1964, in the creation of the Conference on Peace Research in History, with Charles Barker of Johns Hopkins University as its first president. The organization kept the name Conference on Peace Research in History until 1994, when members chose to rename the organization the Peace History Society (PHS). For more than four decades, PHS has prided itself on having a diverse membership. Although mostly composed of historians, PHS has attracted other scholars of international and military affairs, transnational institutions, nonviolence, movements for peace and social justice, scholars of religion, peace activists, and members of the general public. They have come not only from North America, but also from around the world. Because of the interdisciplinary nature of the PHS, panels at PHS conferences have approached topics from many different angles. PHS members have been concerned with making peace research relevant to scholarly disciplines, policy-makers, and their own societies. The Peace History Society has regularly sponsored panels at the meetings of the AHA, the Organization of American Historians, the Society for Historians of American Foreign Relations, the International Peace Research Association, and the Berkshire Conference of Women Historians. It also has a long history of cosponsoring conferences and events with other organizations. In 2008, PHS co-hosted a conference with Historians Against the War entitled “War and Its Discontents: Understanding Iraq and the U.S. Empire.” Besides serving as an affiliate of the AHA, PHS maintains nongovernmental organization status at the United Nations. PHS is also affiliated with H-Peace, an international electronic network that seeks to broaden understanding about historical and contemporary peace, justice, and disarmament concerns. In addition, PHS has sponsored major conferences of its own on a biennial basis. The themes of the last two have been “Peace Activism and Scholarship: Historical Perspectives of Social, Economic, and Political Change” and “Historical Perspectives on Engendering War, Peace and Justice.” In October 2009, Winthrop University will host the latest PHS conference, with the theme, “Toward a Peaceful World: Historical Approaches to Creating Cultures of Peace.” Staughton Lynd, the longtime scholar and activist, will give the keynote address. PHS has been particularly active in encouraging collective research and writing projects. An early example was The Garland Library of War and Peace, edited by Blanche Wiesen Cook, Sandi Cooper, and Charles Chatfield (New York, 1972–1977). Others include Berenice Carroll, Clinton Fink, and Jane Mohraz’s Peace and War: A Guide to Bibliographies (Santa Barbara, Calif., 1983); Charles DeBenedetti’s Peace Heroes in Twentieth Century America (Bloomington, 1986); and Melvin Small and William Hoover’s Give Peace a Chance: Exploring the Vietnam Antiwar Movement (Syracuse, 1992). Furthermore, individual members of PHS have produced a vast body of scholarly work. In recognition of the prolific scholarship in peace history, PHS awards the Charles DeBenedetti Prize for an outstanding article in peace history and the Scott Bills Memorial Prize for an outstanding first book or dissertation in this field. Both of these awards are named for distinguished peace historians and past presidents of PHS. In 2007, PHS inaugurated the Lifetime Achievement Award, and presented it to Charles Chatfield, one of the pioneering peace historians. Since 1972, the PHS has co-published Peace & Change: A Journal of Peace Research, which remains the major journal in the field with the Peace and Justice Studies Association (PJSA). PHS co-owns the journal with its publisher, Wiley-Blackwell, and Peace & Change reaches 2,232 libraries globally through the Wiley-Blackwell consortia sales program. Most recently, Peace & Change published a guest-edited issue on the Iraq War (37:2, July 2009). Additionally, PHS members receive news updates through a quarterly newsletter, PHS News. From October 16 through November 27, you can learn more about Martha and the Slave Catchers and a whole mess of other wonderful children’s books at the Society of Children’s Book Writers and Illustrators Book Stop event. Just go to https://www.scbwi.org/scbwibookstop and then click on Traditionally Published. You will see the book cover in the first row with a link to the book’s page. Oh, just one other thing. To give the printer more time, the publication date has been moved up two weeks to November 21. But be sure, Martha and Jake are on their way! Let’s start with the final installment of Chapter 1. For those of you new to the blog, the first installment appears in the July blog post. We left off where an injured and confused Martha cannot remember exactly who she is, where she is, or anything much about her past. She does remember her name and when she sees an envelope with it on the small table next to her, she picks it up and begins reading. In the August blog post, the letter results in questions crowding Martha’s brain. She could picture her mama and her friend, Becky. And when we left her in September, she was beginning to remember someone called Caleb. We continue . . . Yes, of course. Becky, her best friend. She knew in her heart that she could rely upon her. Remembering Becky also brought back Caleb. Martha’s mind drifted to the sense of him holding her and kissing her softly, but she forced her eyes to focus once again on her papa’s words, words that were helping her mind to wake up. It was as if he was right there in the room with her, holding her hands, and urging her to come back to life. The day you left, C_____ had a most terrible confrontation with his father. He discovered that it was he who revealed our secret, all for a monetary reward. C_____ says he will never be able to forgive him. He packed his possessions, left home, and now stays in our attic room. It is a great comfort to have him at my side in the woodshop. Besides, there is so much work to do that I would flounder without him. He is very regretful, dear daughter, of his treatment of you. But I think whatever passed between you will have to be settled once you return home. I sense from him that all will work itself out once you see each other and speak deeply. Martha ran her finger across the coded C_____ as if by doing so she could transport Caleb to her side. She smiled as she felt in her pocket for the handkerchief with the embroidered red rose he had given her. Rubbing it against her cheek brought him closer, but she had no idea what they had quarreled about. Martha drew in a deep breath. The oppressive heat in the room added to her light headedness. Sweat trickling down her neck dampened the shirt she was wearing. She ran her hand under the collar to loosen it. Why did she have on a boy’s shirt? She gazed down at her legs. And boys’ pants? She instinctively reached for one of her long plaits that she liked to twirl around her finger. Nothing. Frantically, she dropped the letter and grabbed both sides of her head feeling for her cherished hair. Who would be so cruel as to cut it off? Could her papa tell her? She picked up the letter once again and anxiously looked for an answer. You have been a brave and honest girl, my lovely one, and I pledge that I will do everything possible to bring you both home very soon. In the meantime, you must do all in your power to protect yourself and not to fret about us. I will anxiously await news from you, and I will send news back. Our friends will see to that. As always, I remain your loving father. Her papa said nothing more and apparently knew little of what had happened to her since she had left home. For now, she was on her own and desperate to pull her memories together, regain her equilibrium, and find out where she was and what had become of her brother. She folded the letter, kissed it, replaced it in its envelope, and put it into her pocket. Then exhaustion overtook her. Involuntarily, she leaned her head against the back of the sofa and closed her eyes. As she relaxed, scenes of her life in the small town of Liberty Falls, Connecticut, flooded her mind. And with them came memories of Jake. This is a picture of me, the author. In the background, as a screen saver, is a photo of my grandson when he was a young child. Just so you know who’s who. Actually, what I want to talk about today is how the author of a book has to let go of that work. When I began Martha and the Slave Catchers, it was just a tiny kernel in my mind that I kept chewing on and spitting out. From the time I started playing with the idea of writing a novel for children until the day I read the page proofs, a good five years had passed. For much of that time, Martha and Jake and the entire cast of characters belonged to me. Yes, I shared parts of it with my husband, my friend Catherine, my writing group, and the faculty and students in my classes at the Gotham Writers Workshop, but the story belonged to me, and me alone. But once I signed on with my agent, Marie Brown, and with the folks at Seven Stories Press, and with Liz Zunon, the illustrator, the story-turned-book started to slip out of my hands and become a collaborative project. And once that happened, I had to begin letting go of my ownership of it. I learned about letting go soon after my second book, Peace as a Women’s Issue, was published in 1993. I was then teaching at Fitchburg State College (now University) in Massachusetts and decided to have a book party celebrating that book and my previous book, The Women’s Peace Union and the Outlawry of War, 1921-1942 which had appeared in 1989 but without a celebration. During the party, one of my students came up to me with a copy of the book and said, “Will you sign my book?” My first reaction (unspoken of course) was, “That’s my book, not yours.” It was then that I realized that I was actually participating in the rite of letting go of the book and sending it on its way. Since that time, I usually have some sort of celebration where I let the book go, either a party or a public talk or something like that. I picture it in my mind as my actually handing the book over to readers. With Martha, that moment came when I saw Liz Zunon’s name on the book cover design and then the announcement of her participation on her twitter feed and then on her website. The book was no longer just mine. Next month when it is released, the book will be “out there” for any interested person to grab a hold of. I hope that person is YOU. Martha and the Slave Catchers is already available for pre-ordering on many on-line book store sites. Or you can ask your local book store to carry it. Come and join our community ownership of Martha and Jake’s story. Until November 7, when Seven Stories/Triangle Square Books for Young Readers releases Martha and the Slave Catchers. . . .
Let’s start with the next installment of Chapter 1. For those of you new to the blog, the first installment appears in the July blog post. We left off where an injured and confused Martha cannot remember exactly who she is, where she is, or anything much about her past. She does remember her name and when she sees an envelope with it on the small table next to her, she picks it up and begins reading. In the August blog post, the letter results in questions crowding Martha’s brain. We continue . . .
Martha’s eyes welled up with tears. She had never been away from her parents before she left home just a few weeks ago. Why had she gone? She thought hard, but it was all a blank. Your mama is not doing well. Mama. Martha longed for her lovely mama who had been ailing for several years. Martha pounded on her head, then winced. What were these secrets and lies that had so hurt her mama that she had withdrawn from the world? Why couldn’t she remember? Somewhere deep inside she knew her mama needed her and that she had to get home. Who would take care of her if she wasn’t there? B____ comes over once a day to help tend to her. She takes our laundry and cleans the house as well. She has been a godsend considering all the responsibilities she has at home helping her own mama with the house and the many children. She sends her love and wishes you safekeeping until she can see you again. Last month, I began talking about the “team” that has joined together to produce this book. I just want to say that I have not included all the folks who supported me during the writing of it. I’ve thanked them in the “Acknowledgements” in the book and hope you will take a moment to read that section and see just how many people put their minds to work for me. This month, I’d like to continue describing three other participants in the actual producing of the final product. 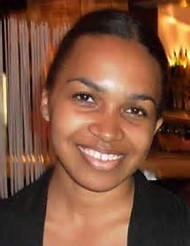 One of the first people I mentioned earlier was my agent, Marie Brown, of Marie Brown Associates. There is so much to say about Marie that I find it difficult to even begin. When I began writing the story of Martha and Jake, I participated in classes and workshops about writing for children. I also read every book and article I could find about the topic. In almost every place I received this advice: “If you want to be published, get an agent.” This was often countered with, “Of course, this will take a while, and many writers never find one.” Now, I have five non-fiction adult books out in the world and had never worked with an agent. The thought of finding one scared the bejeezus out of me. And what did an agent do anyway? I began searching by looking through all the websites recommended and by using the resources on the website of the Society of Children’s Book Writers and Illustrators (SCBWI), an organization that is a godsend to everyone in the field. I marked several agents (and editors/publishers) as possibilities, but I kept returning to one: Marie Brown. She just seemed like a good choice for me. 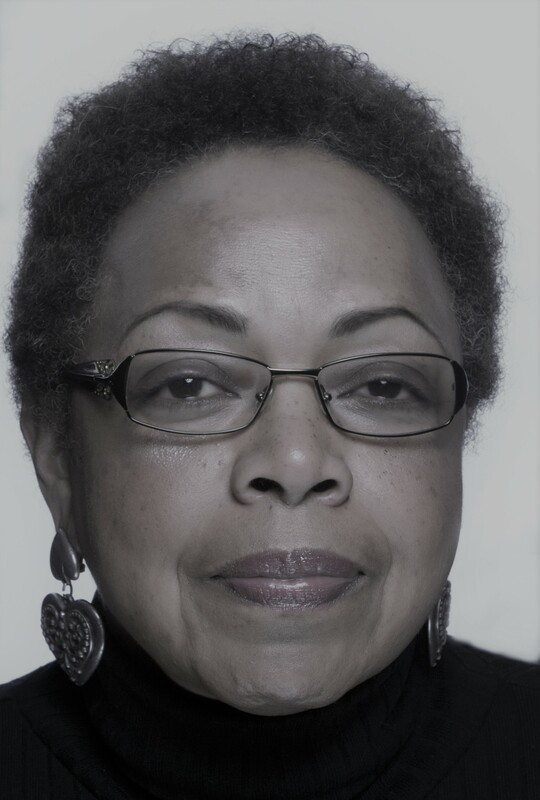 Marie was the first African-American woman agent in New York City and her goal in her long career in all areas of publishing has been to foster books about and/or by writers of color. She accepts queries and proposals by snail mail, only switching to more modern technology once she has decided to represent you. To be honest, I was reluctant to reach out to her. Her reputation and experience somehow intimidated me. But a friend of mine at City College had an acquaintanceship with her and told me to go ahead and to include his name in the letter. (Two other of my colleagues had also recommended me to agents, but nothing much happened in those cases.) So, I sent a letter out to Marie, and a while later received a real (as opposed to an email) letter back expressing interest in seeing the entire manuscript. I was lucky, not only because Marie loved the story and felt that it should be published but also because I had only sent out less than a dozen queries before this. Over the two years it took for Marie to “sell” the book, I had plenty of time to learn what a good agent does. She suggests ways to tweak the book. She talks about the characters and plot with a knowledge and sensitivity that helps in the editing process. She seeks out publishers and editors, and when there seems to be little interest from them, she keeps the author’s spirits up. Marie is so knowledgeable and connected to the publishing world that she also stays with her authors to guide them through publicity and marketing. I’ve had wonderful conversations with Marie ranging from punctuation to race relations in the U.S. today. I can’t say enough good things about her. . . and I haven’t. 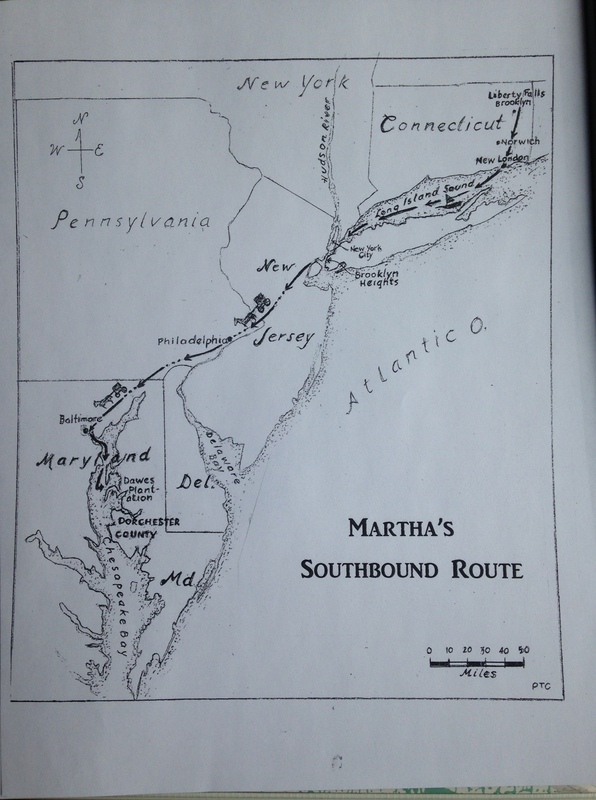 To bring this blog post to its end, I’d like to introduce you to the last two members of the “team” who I refer to as my “education specialists.” These include geographer Patricia Caro who created the two maps which illustrate Martha’s journey. Pat is a Professor of Geography at Nassau Community College on Long Island, New York. She created a map for my son, Miguel C. Alonso’s book, The Development of Yoruba Candomble Communities in Salvador, Bahia, 1835-1986, and I was so impressed that I asked him if he would put me in touch with her. Pat was more than willing to create maps for my own book, and to accommodate the audience, she designed them to resemble 19th century creations that would be appealing to younger readers. I’ve included one here so you can see and appreciate her style for yourself. 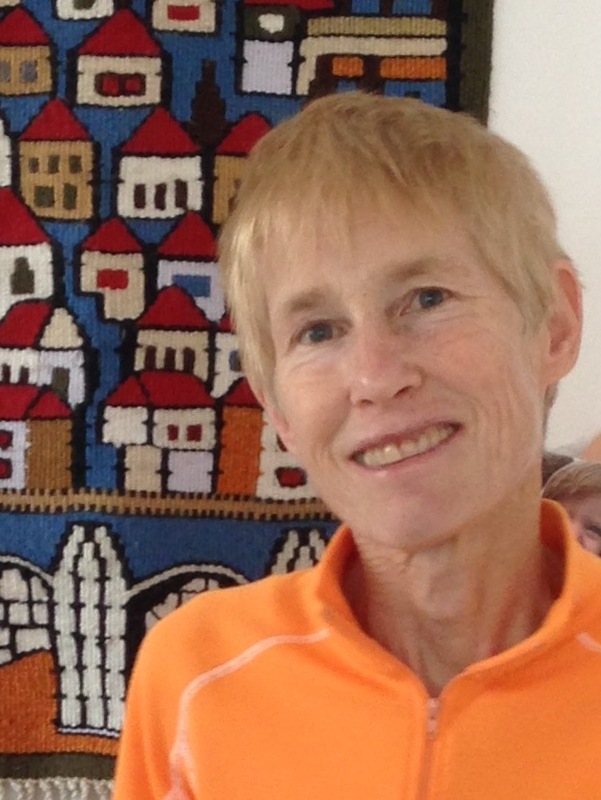 The final member of my team is Catherine Franklin, a professor of Childhood Education at the City College of New York, CUNY. Catherine and I met about fifteen years ago when we team-taught a class for graduate students seeking Social Studies certification in childhood education. It was a most interesting project. We designed a course where I was to cover the history of abolitionism and also the early woman’s rights campaign in the U.S. and Catherine would introduce concepts for designing curriculum. It took no time at all for us to muddy the waters. Soon I was looking into teaching methodology and she was studying history. We have continued our working relationship and wonderful friendship over the years, and when Seven Stories gave me the green light for a curriculum guide for the book, I asked Catherine if she would like to create it. Her infectious enthusiasm has resulted in a terrific tool that you will soon be able to find on the Seven Stories website. Besides looking at the text closely, the guide offers up suggestions on how to bring the history and the meaning of the deeper issues in the book to children. Me + Marie + Seven Stories + an illustrator (Elizabeth Zunon) +a map maker (Patricia Caro) + an educator (Catherine Franklin). Until next month, when we’ll continue with chapter one and talk about how an author lets go of her work. Let’s start with the next installment of Chapter 1. For those of you new to the blog, the first installment appears in the previous blog post. We left off where an injured and confused Martha cannot remember exactly who she is, where she is, or anything much about her past. She does remember her name and when she sees an envelope with it on the small table next to her, she picks it up and begins reading. Martha immediately recognized the handwriting. “Papa,” she whispered, as the warmth of home reached out to her and as if by magic, her papa’s twinkling blue eyes smiled at her. This letter comes to you through a trusted friend. I write it without knowing if you are safe, where exactly you are, or even being able to scribe your name or the name of the other I fret over. The other. The fuzz in her head cleared slightly. Jake. She remembered her younger brother, Jake. Where was he? In a panic, Martha pushed herself to her feet. The room spun around and she promptly sat down, tilting her head forward onto her lap. As her dizziness eased, she saw an image of her and Jake running away from something bad. But what? She picked up the letter again, hoping it would give her the answer she needed. As has been so for almost your entire thirteen plus years, we live with secrets and lies, hiding the truth from a world racked with the abomination that is slavery. The result is before us now. Separation and hardship and who knows what else. It grieves me that I cannot be with you now to return you to your normal life. In truth, I do not know when that day will come, although I hope it will be soon. Currently, it is far too dangerous for you here at home. So, I have given our friends permission to take you to a safe place. Rest assured, everyone here is toiling with all our might to rid the evil from this place. And we shall succeed. I am sure of it. The wonderful illustration accompanying this chapter was done by Elizabeth Zunon, who is the creator of all the illustrations in the book, including the cover. Liz kindly gave me permission to reproduce the image for your enjoyment. Liz is the illustrator for at least nine children’s books. You can read about her and see many of her illustrations on her website at www.Lizzunon.com. This brings up something I think you’ll find interesting, and that is how an author and an illustrator end up on the same project. For most children’s books (including picture books), the author submits the text and then the publisher chooses the illustrator. In many cases, the author and the illustrator never have any contact with each other. Our situation is both similar and different from the usual scenario. First, I created the story. Then I sought out an agent (Marie Brown, who I’ll talk about in a subsequent blog post). Once Marie landed a contract with Seven Stories Press/Triangle Square Books for Young Readers, she and I discussed the possibility of the press having an illustrator. I think that many of you know that often for Middle Grade novels, there are no illustrations. We hoped there might be, and we talked about some of the aspects we considered important for an illustrator of Martha’s story. Marie shared these ideas with Dan Simon, the President of Seven Stories, and he went on the search for an illustrator who could capture the look and feel of Martha and Jake’s story. And, dear Reader, Dan nailed it! He identified Liz and contacted her through her agent. Liz asked to read the manuscript, liked what she saw, and accepted the assignment. Marie and I saw a few of her initial drawings and knew that she was the right person for the job. After that, we didn’t see any of the others until the illustrations were incorporated into the final page proofs. Unlike many authors, I reached out to Liz early on in the process, offering her any information she might like to know about the historical context or my thoughts on the story. I also offered to stay out of her way if that was what she preferred. We then went our separate ways. After seeing all of the illustrations, I contacted Liz again to thank her for her wonderful work. It was then we began talking about meeting up and even planning some events together. This is all in its beginning phases, so I don’t have more to add about that at this time. But I did attend Liz’z book reading of The Legendary Miss Lena Horne at Greenlight Book Store in Brooklyn, NY and had a wonderful chat with her. We both share a love of history and a desire to share historical stories with children. Next month, I’ll continue building the team so you can see how an idea becomes a book. Until next month. . .
Martha Bartlett jolted awake, her eyes wide open, her heart pounding so hard it hurt. She looked around the dimly lit room from the quilt cocoon that encircled her body on the plush, but simple, sofa. Someone had placed a soft pillow under her head, but she had no idea who. The room itself was unfamiliar. Its fireplace, brick walls, and rocking chair reminded her of home, but it was not her home. She knew that much at least, but not much more. It was an effort to push the quilt away, but she longed to sit up. 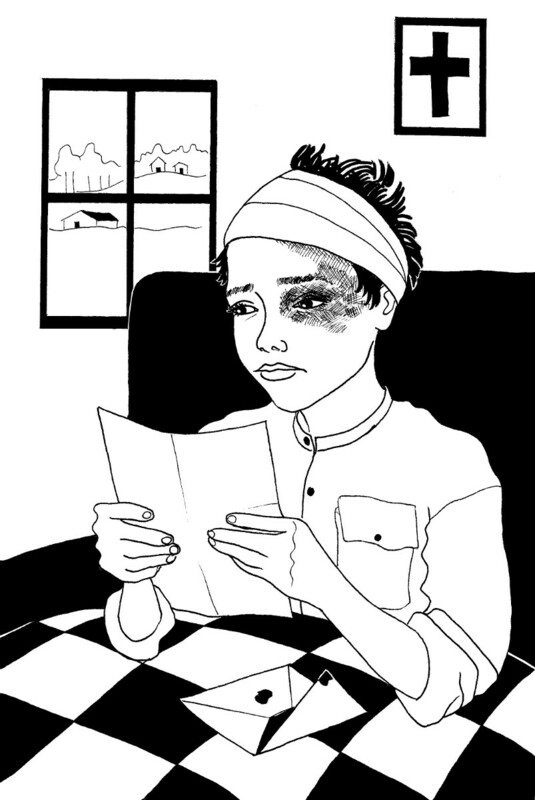 As she did, pain ripped through her arms, legs, and back. Gingerly, she touched her left eye which shrieked in agony. Then she felt the bandage wrapped around her aching head. What had happened to her? For several long minutes, she willed her brain to work. Think. Think harder. Try to remember. She closed her eyes tightly and opened them again, believing that perhaps the movement would spark a memory. In between two long blinks, she spotted a light blue square envelope with “Martha” printed in bold letters on the small table next to her. She knew that was her name, but still, she just stared at it. For some reason she did not understand, the letter’s presence frightened her. Finally, though, she reached for it. As her trembling hands touched the envelope’s flap, she realized just how weak she was. Her finger could hardly work its way under the wax seal to break it. Then, she almost ripped the thin fragile paper as she took the letter out and unfolded it. I consider myself fortunate that Martha (for short) is being published by Seven Stories Press, and thought I might give you some background on the press. (www.sevenstories.com) Dan Simon, formerly of Four Walls, Eight Windows press, founded Seven Stories in 1995. The name came from the seven authors who first signed on to the venture, including the wonderful Octavia E. Butler, Annie Ernaux, Gary Null, Charley Rosen, Vassilis Vassilikos, the estate of Nelson Algren, and Project Censored. You can read much about the press’s background and mission on its website, but I think its credo says it all: “Our credo is that publishers have a special responsibility to defend free speech and human rights, and to celebrate the gifts of the human imagination wherever we can.” Seven Stories has become well-known for its fiction and non-fiction titles that embrace human rights, social and economic justice, and the media. For a small press, it has great outreach which is enhanced by its marketing/distribution collaboration with Penguin/Random House. In 2012, the press initiated its imprint, Triangle Square Books for Young Readers. Under the guidance of Ruth Weiner, Triangle Square has published a number of popular books, including A is for Activist by Innosanto Nagara. 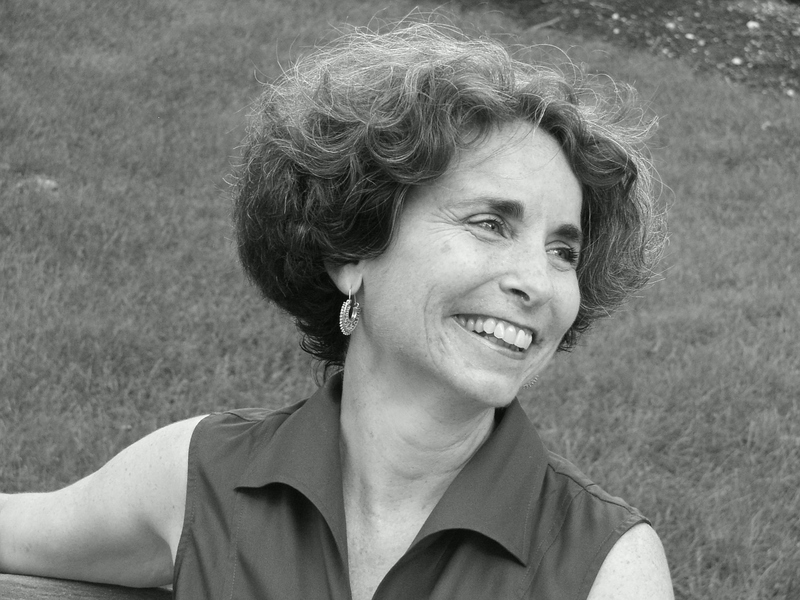 Rebecca Stefoff adapted two incredibly important adult history surveys for young readers, namely Howard Zinn’s A Young People’s History of the United States and Ronald Takaki’s A Different Mirror for Young People: A History of Multicultural America. On the press’s blog, you can read the fascinating story of how the state of Arkansas attempted to ban Zinn’s book in the public schools and the campaign to fight that referendum. 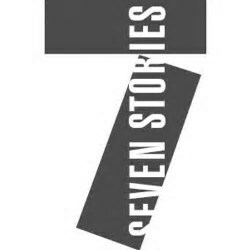 Seven Stories Facebook Page is also a great source for that saga and others. Until next month. . . .
My new book, Martha and the Slave Catchers will be published on November 7, 2017, by Seven Stories Press. It is available for pre-ordering at several on-line stores. Danger lurks in every corner of almost fourteen-year-old Martha Bartlett’s life—and all because her mama and papa, agents of the Underground Railroad in Liberty Falls, Connecticut, decide to claim as their own the orphan of a runaway slave who died in their attic hideaway. They name him Jake. After the Fugitive Slave Law of 1850 is enacted, two hired slave catchers, Will and Tom, kidnap Jake and take him south to the plantation of Robert Dawes. Always ambivalent about her demanding, mischievous, and learning impaired brother, Martha nonetheless feels guilty about his disappearance. After all, it was her job to watch over him on that very day he was snatched. She pledges to find him and bring him home. Martha becomes part of an Underground Railroad plan to rescue Jake. That journey takes her away from the safe world she has always known to a world full of danger, bigotry, violence and self-discovery. Missing their connection with famed slave rescuer, Harriet Tubman, Martha and Jake are forced to start their perilous journey north with only each other to depend on. Meanwhile Will and Tom are always close on their heels. Will they receive help from the Underground Railroad in their escape? Will they make it to safety? Will they ever see their home and parents again? These and other questions are answered by the end of the novel. To accompany the novel, I have designed a web page which you can link to above. It explains the historical context for many episodes in the story. I invite those folks who have already read a draft of the book or will receive an advanced copy to take a look at the web page. In the months to come, I will write about other aspects of the work, including Seven Stories Press, the illustrator Elizabeth Zunon, and other folks involved in the book’s production. I love Jane Addams. When I first heard about her way back in 1980, I thought she was nothing more than a moneyed, “do-gooder” out to help the poor in order to make herself feel important. It took about five seconds to change my mind. Yes, she had some money (which she used to support herself and Hull House), but she was far from being your traditional “do-gooder.” Instead, she was a true revolutionary, a woman who looked deep into the people and society and world around her to determine how to make it better. I would call Jane Addams a life-long learner, and the new article on my website (http://harrietalonso.com) titled, “Jane Addams, Hull House, and the Devil Baby,” is one example of how Addams used her own experiences to educate herself. (Click on the tab in the menu at the top of the page that says “Jane Addams, Hull House, and the Devil Baby” to reach the article.) I wrote this piece with learners in mind. Whether you are an undergraduate, a high school student, an educator, or a lover of learning, I hope you will read, enjoy, and gain something from it. The piece is divided into four sections. The first is a brief introduction. The second is the story of the Devil Baby. Briefly, in the autumn of 1913, thousands of people visited Hull House demanding to see the Devil Baby they were convinced Addams was hiding there. The settlement house workers had no luck convincing people that the baby was a myth built out of superstition. Jane Addams wrote several articles about the incident, in each explaining how the Devil Baby connected with the lives of the community, especially older women. The third section delves into the world of Chicagoans during the 1913 episode. To do this, I read through every issue of the Chicago Tribune (ten weeks in total) to try to see what specific happenings in the city could have produced such great tension that a Devil Baby hysteria seemed a logical outcome. The fourth section includes some suggestions for discussion and projects for a broader understanding of the incident. Jane Addams’s ultimate goal was to understand people, get them to understand each other (not necessarily in a personal sense, but certainly in a cultural one), and then create ways which would help them to handle conflict through knowledge. If we learn to understand and accept people’s beliefs and life-styles. . . if we can identify the commonalities among us. . . if we can help each other achieve the basic needs of life (food, housing, jobs, etc. ), then maybe we can achieve peace in our immediate environments and on our globe as well. Please feel free to recommend others read the article, and for educators, to use it in your classes. There is no charge, but I would very much like to hear from anyone who adopts it for classroom use. Of course, it would be great if folks carried on a discussion in the space provided on this page or at the end of the article.